Apple and Amazon have settled (at least some of) their differences. Amazon Prime Video is officially making its way to the Apple TV. Apple will announce the all-new Amazon Prime Video app for Apple TV at this year’s WWDC keynote on June 5, according to BuzzFeed. Then the app will reportedly hit the tvOS App Store this summer. In addition, Amazon.com will be start selling the Apple TV set-top box again after being banned two years ago. This corroborates an earlier report that Apple and Amazon had reached an agreement to the benefit of both their streaming media strategies. Amazon Prime members who own an Apple TV have another reason to renew their membership, and the Apple gets to put the Apple TV back on Amazon’s massive retail platform. This is a big win for Apple. In 2015, Amazon banned the Apple TV from its store because it did not have a Prime Video app. At the time, Amazon CEO Jeff Bezos said Apple did not offer “acceptable business terms” for them to develop a tvOS app. It’s likely that Bezos and company found it unacceptable that Apple should take a 30 percent cut from all Prime memberships via the App Store. 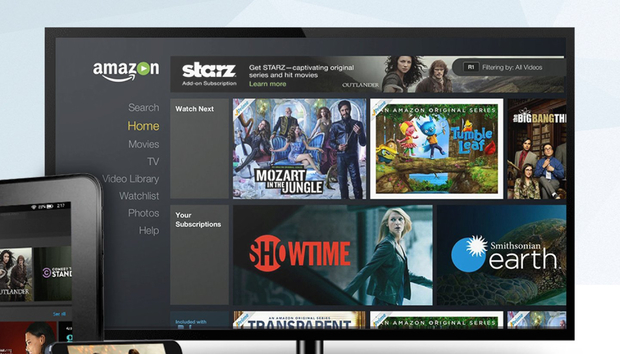 Prime members with an Apple TV have had to use a workaround involving the Amazon Prime Video iOS app and AirPlay in order to watch Amazon originals like Transparent and Mozart in the Jungle. This works fine, but when Netflix, HBO, and Hulu all have companion apps that reside right on the Apple TV’s home screen, it’s easy to forget about Prime Video. Why this matters: Amazon has done a great job developing original programming. (Maybe Tim Cook is a little bit jealous he doesn’t get shout-outs during the Emmys and the Golden Globes.) Amazon’s award-winning originals makes it frustrating for Apple TV viewers that can’t access them as easily as what’s on HBO and Netflix. It’s great to see that Bezos and Cook have stopped being so petty for the sake of their audiences.